The long-awaited Defence Innovation Hub was today unveiled in Adelaide. Aimed at supporting innovation and identifying new capabilities from prime defence contractors as well as academia, SMEs and researchers, the hub will invest around $640 million over the coming decade to develop emerging technologies. 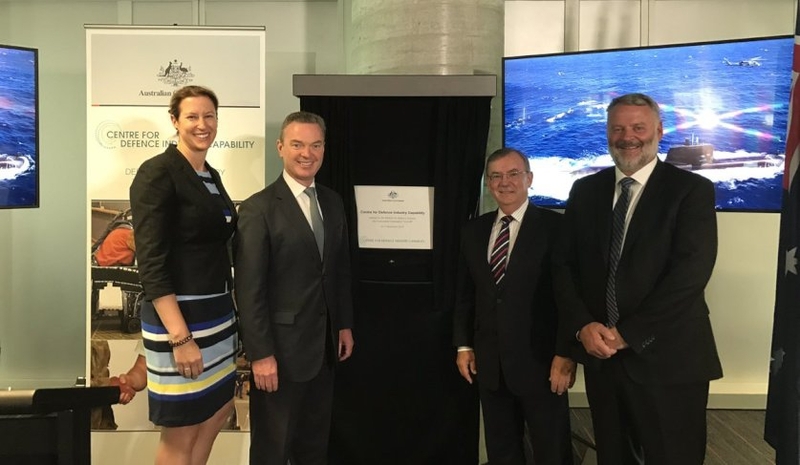 According to the Minister of Defence Industry Christopher Pyne, the hub provides an agile and transparent approach to innovation investment, drawing on the introduction of new business practices – including refreshed contracting frameworks and innovative IP policies. Minister Pyne said the hub is now ready to receive submissions from businesses seeking to work with Defence. “Defence recognised that great ideas can originate from a wide range of participants, from industry through to academia and researchers,” Minister Pyne said. The Hub is part of the Centre of Defence Industry Capability (CDIC), which is aimed at transforming the Defence and industry relationship plus funding defence industry development. Housed in Adelaide, CDIC is a key initiative of the 2016 Defence White Paper. The centre is tasked with bringing together the private sector, Defence and AusIndustry to help deliver cutting-edge capabilities for Australia’s armed forces. The government has earmarked $230 million for CDIC over the next decade.